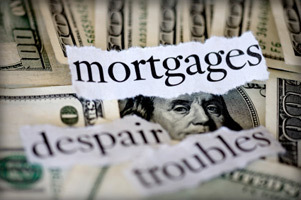 Mortgage fraud is a term used to describe a broad variety of criminal actions where the intent is to materially misrepresent or omit information on a mortgage loan application in order to obtain a loan, or to obtain a larger loan than would have been obtained had the lender known the truth. In federal courts, mortgage fraud is prosecuted as wire fraud, bank fraud, mail fraud and money laundering, with penalties of up to thirty years imprisonment. Our staff of investigators is comprised of seasoned professionals that have investigated mortgage fraud for both government and private entities. We will assist in the handling of your assignment with our TRU concept. TRU stands for Total Response Unit in which we dispatch our specialized fraud investigators to research, interview, and uncover whatever scheme was utilized to deceive the lenders or the public. We place a sense of urgency in your investigation to uncover the scheme used to deceive the lenders or the individual consumer. We often prepare a fraud referral to the local law enforcement authority and assist law enforcement to ensure parties are prosecuted. We have years of training and experience and often have industry-proven methods to uncover deception and provide facts on a timely basis. We can make urgent decisions regarding criminal referrals and civil suits, or we can act instantly to place a broker or group on an exclusionary list. For PMI Insurers we are very active in investigating originating information that was used in a loan to insurer the subject loan. We will conduct a forensic audit of the loan and interview the employer, verify bank records, verify the authentication of paystubs, rental agreements, W2’s, verification of employments, etc. We have conducted thousands of PMI investigations for several carriers in the Florida area and we have an high percentage of success with our proven methods of uncovering lender knowledge of fraud that is necessary to rescind policy claims. One of the most successful aspects of our methods is that all of our staff as Florida licensed investigators that work within their own back yards and are knowledgeable about local mortgage brokers, title agents, real estate attorneys, local businesses used in fraud schemes, etc. Unlike many other firms working there types of investigations many if not all our staff are Certified Fraud Examiners, Florida Certified Investigators, Fraud Claim Law Specialist, these are industry designations of our commitment to our professionalism and expertise. We have developed long term relationships with local, state, and federal law enforcement authorities, state administrative bodies that can be used should you need a referral submitted for criminal activity found. Our staff is given yearly CEU in mortgage fraud related topics and are active on the latest trends. We will assist you in investigating your loans and helping you resolve claims, losses, and or groups trying to deceive your underwriting staff.